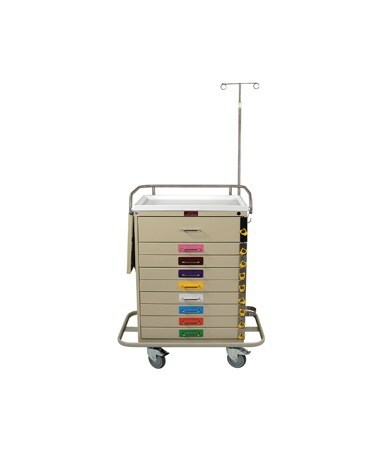 Harloff's Classic Nine Drawer Pediatric Resuscitation Cart is designed for the long product lifespan at an affordable level. Its sturdy, uni-body steel construction and durable, hard-baked powder coat finish makes for an incredibly strong and reliable cart - and with a 12 year warranty standard, you know it'll be the least of your worries. The strength of the cart doesn't stop at the uni-body steel construction or powder coat finish. With a full wrap-around bumper on a separate stabilizing frame, a stainless steel top rail/push handle and 5" ball-bearing premium casters (all full swivel - one tracking, one braking), this is an emergency cart that can truly handle emergencies. 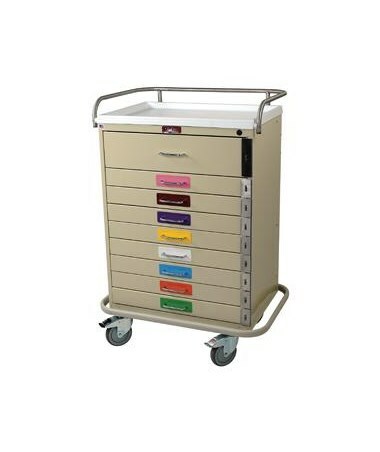 Other great features include pre-drilled threaded holes for side-mounted accessories, ball-bearing full extension drawer slides, an included pack of 50 break-away seals, latex-free construction and 16 available color choices. The cart is delivered fully assembled. 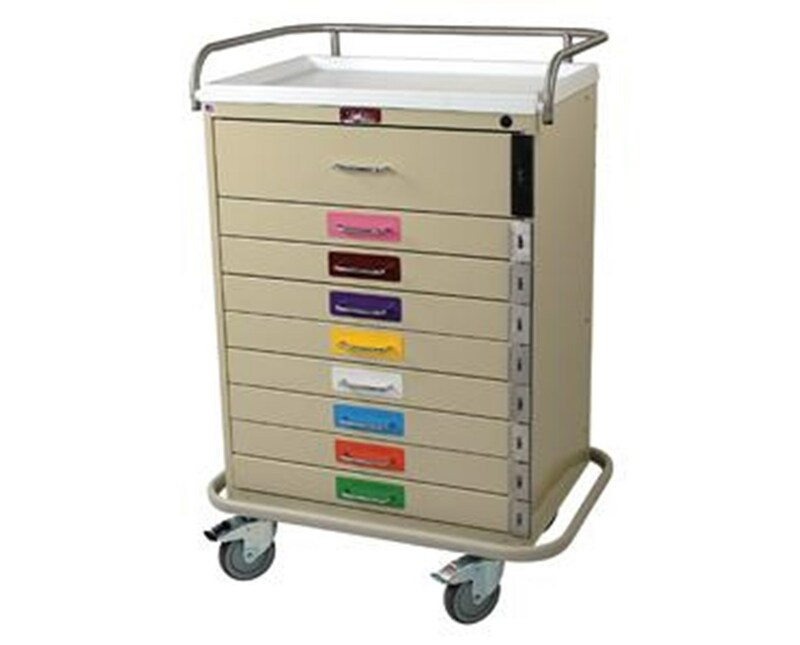 We offer Harloff's Classic Nine Drawer Pediatric Resuscitation Cart with either the standard package or the specialty package, and in 16 colors (View Chart). Select from the drop down menu above and order online direct by clicking "add to cart!"